Bill Cunningham, the beloved fashion photographer for The New York Times, passed away Saturday at the age of 87. Mr. Cunningham spent his entire adult life documenting fashion on the streets of New York City, taking millions of photos of those he found beautiful and interesting. To pay the bills, he worked for “The Man,” as he called the Times, and lived very simply. Everyone knew and loved him, but very few people seemed to know him intimately. In 2011, Bill Cunningham New York, a documentary about his life, was released, and the world got a better glimpse of him, much to his obvious discomfort. The New York Times is running an entire section about Bill Cunningham, and I’m linking to this touching article from 2013. 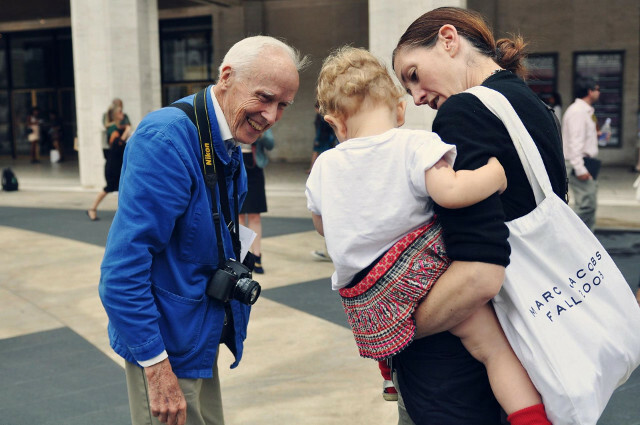 Bill Cunningham New York is currently available for streaming on Amazon, and it’s a wonderful profile of this lovely and caring man who sought beauty in all he did.